Atlantic Charters, based in Marblehead, Massachusetts is a family-run business, dedicated to sharing the passion and thrill of sailing on the North Shore to sailors of all skill levels – from those who have never sailed before and experienced sailors. Our clients have many different sailing goals and our committment is to provide unparalleled service, safety and hands-on exciting sailing experiences for all levels of sailing skill. 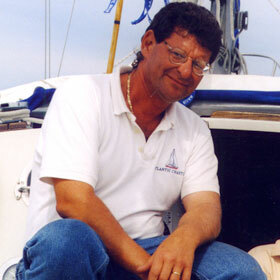 Captain Alan Leibovitz has built Atlantic Charters from a single sailboat charter, to a full-service sailing center in the heart of historic Marblehead Harbor, with a growing fleet of sailboats available for day sail charter, chartered excursions or private rental, as well as a complete sailing instruction program for children, novices, and experienced sailors. Whether you are simply interested in learning the basics of sailing, or wish to become a more experienced sailor for coastal cruising or ocean racing, we can meet your needs. Alan’s draw to the sea stems back to his youth. 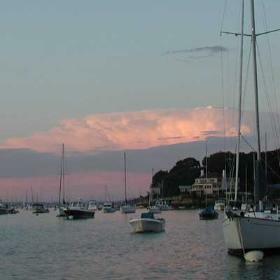 Growing up on the coast of Massachusetts, he developed a love for the ocean and a passion for sailing. A self-taught sailboard enthusiast, Alan finds pleasure teaching others the ways of the water. Alan has a 100 Ton Master License issued by the United States Coast Guard and is a skilled mechanic. Please contact us in advance to book your rental dates. Availability is limited, so please book early! Call us at 978-590-4318 or send us email.